Mahesh Babu along with the Founder and CEO of YuppTV, Uday Reddy. 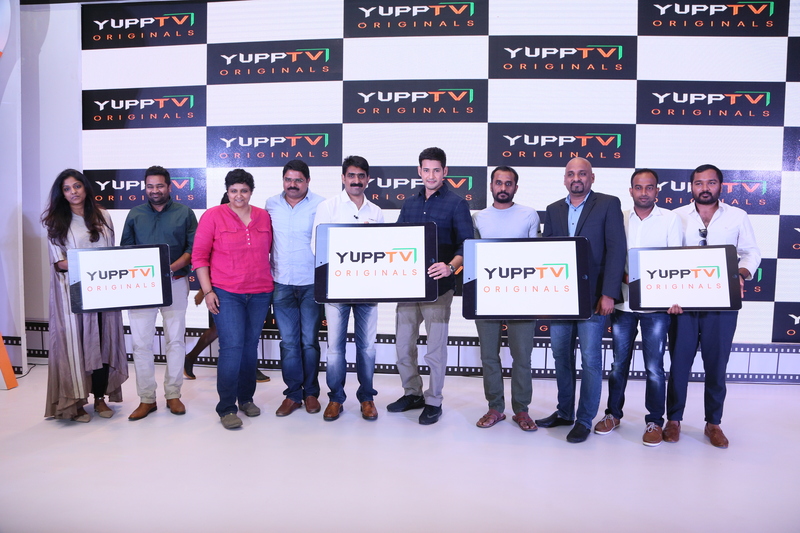 The YuppTV Originals is considered to the OTT platform foray into original content production. 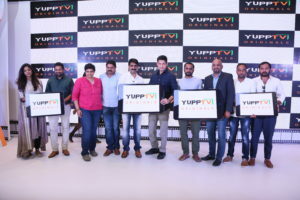 As mentioned in the event, initially the main focus of YuppTV Originals will be on regional content in episodic format, while also aiming for the feature Film production. The first new series to be aired on the Originals is Endukila, presented by Deva Katta, iCandy Creations, written and directed by Laxman Karya will be launched during Ugadi. The next series would be a women centric one produced by Swapna Dutt’s early morning tales – a divisio of Vijayanthi movies and director supervision by Nandini Reddy. YuppTV is also to overcome the language barrier by including subtitles and will be dubbed in other languages too. YuppTV also calling out the talent in the industry to come on-board using YuppTV as a platform, the part of digital evolution.